Your best option may be Myrtle Beach in the east or somewhere in the mountains north west of Charlotte. What kind of resorts are you looking for? Open to anything really. Could be beach or inland. Just looking for a nice place with good food. Kid is only 7 months so will be a low key trip if we make it. Great Wolf Lodge is probably your best bet with kids. If you play golf, Beau Rivage has a place in Wilmington, but I'm not sure what there is for kids. If you go up to Virginia, Williamsburg is a great area to spend a week or so. Charleston is a quick three hours from Charlotte. Wilmington is already the beach, so they can just come there. You can be in Blowing Rock in about two hours from Charlotte. Asheville is not far either. None of these are resorts obviously, but you can have a great weekend in any of them. Can you be a little more specific? Are you tied down to Charlotte and Wilmington? Or are you there a few days and want to spend 3-4 days somewhere near Charlotte or Wilmington? Resort’s a weird word to use for North Carolina as there aren’t really any. Resort’s a weird word to use for North Carolina as there aren’t really any. This is true, at least not any I know of. 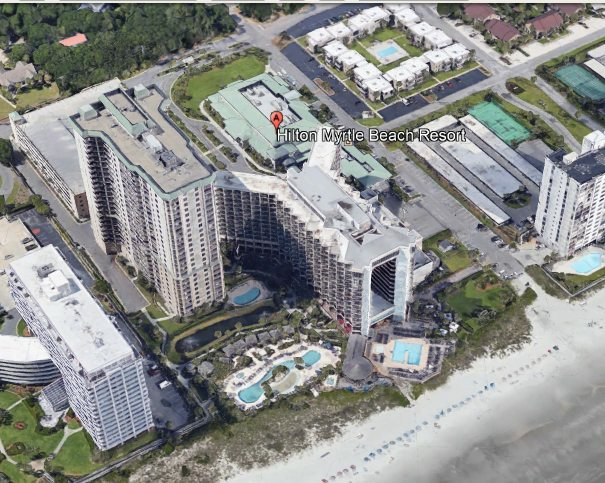 The only place that comes to mind that bills itself as a resort is the Hilton Myrtle Beach Resort in SC, which is about 1 1/2 hours from Wilmington. But, there could be other places that claim to be resorts. In Wilmington, there is a hotel on the river that is within easy walking distance of downtown and many restaurants, shops, a few art places. Not a resort and not on the beach. There are also hotels on the various beaches around Wilmington. You could go to Southport, NC or over to Bald Head Island but that does not sound like what you are looking for. Those are close to Wilmington and I guess you could check them out on your free time before your family visits. How far are you willing to drive for the weekend? If they are just coming for a few days I assume you do not want to spend a lot of that time driving. Do yourself a huge favor and stay far away from Myrtle Beach. It's a shite town with nothing worth seeing. I could be wrong but I think what the sights the OP is interested in seeing, his wife is bringing with her. Ok maybe resort wasn't the right word. Let me clarify. Although I am working during the week in those areas, I can go anywhere in the state Friday - Monday. We are just looking for a very nice place to stay, good food and some day time entertainment. We have been to Savannah, Charleston, Myrtle Beach numerous times so just looking for something different. Someone mentioned the Grove Park Inn, which is Asheville. That's exceptional. NC has over 100 vineyards/wineries and many are located in the north of Charlotte. You can look at this UNC PBS TV series to get some ideas. Unfortunately it looks like it only has this season available.